Y.G. 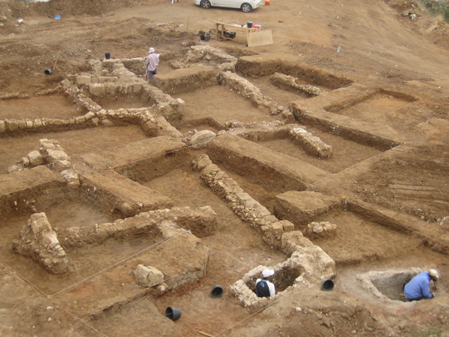 Contract Archaeology excavated this central coastal plains site in August-September 2008, under the direction of company executive Yehuda Govrin. 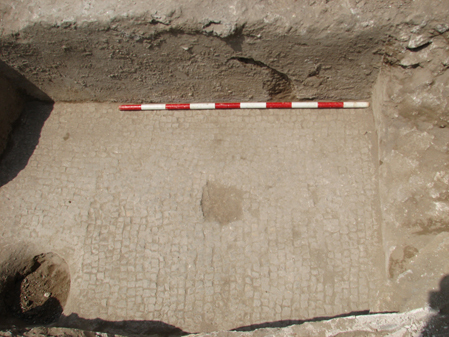 The findings were from the Early Islamic period (750-ca.950 CE), and included two probable farmhouses (Areas A and B) incorporating several important features and yielding a rich assemblage of artifacts. Several rooms and structures (e.g. L27, 28, 30, 52) had specific but unknown functions within the agricultural industries of the farmhouses, while others – such as L57 and 60 pools, or L56 and 59 cesspits – were more easily understood. 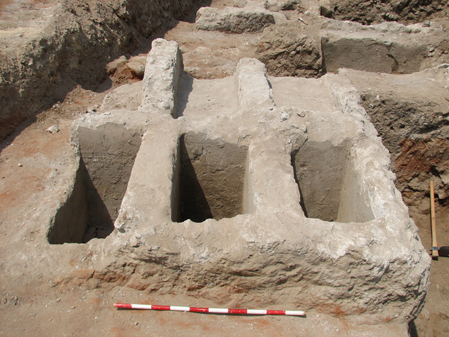 These findings have contributed to our knowledge corpus of Early Islamic period farmhouses. Artifacts of note include a tabun (clay oven), decorated oil lamps, characteristic Early Islamic glazed pottery, several large animal bones, and of course large quantities of everyday objects and functional vessels such as cooking pots, jars and bowls.